Noni juice is derived from the fruit of a small evergreen plant called noni, also known as Indian mulberry normally found in global subtropics and tropics. Botanical name Morinda citrifolia, noni belongs to the Rubiaceae family and is privileged as the ‘queen’ of the Morinda genus owing to its conspicuous attributes, versatile nature and distinctive capability of spreading itself usually on the seashores without requiring much human intervention. It is often one of the earliest species which grow on the freshly deposited lava flows typically in Hawaiian regions. Gout: Morinda Citrifolia or noni juice extends its therapeutic effects in curing gout. The effectiveness of noni juice in curing such diseases attributes to its inhibitory action on the xanthine oxidase enzymes which are implicated in gout and its associated problems. Scientific research has also supported this curative effect of noni juice which has been in practice from over thousands of years. Aid for memory impairment: Noni juice may exert protective effect in curing the problems of memory impairment. Studies conducted on subjects with weakened memory functions have suggested that consumption of noni juice encourages cerebral blood flow and helps improve memory functions. 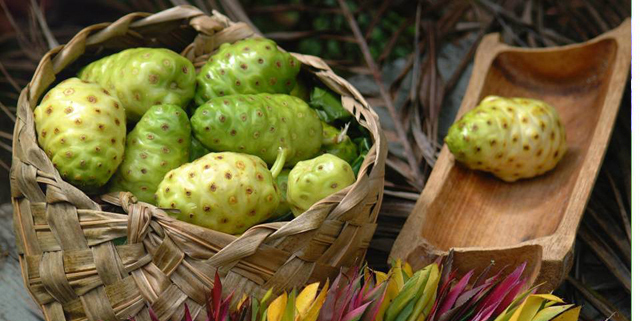 Wound healing: The juice of Morinda citrifolia or noni is effectual in speeding up healing of wounds. Research evaluating the wound curing properties of noni juice has revealed positive results with respect to the increase in the weight of the granulation tissues, functioning of collagen and hydroxyproline and protein content. As mentioned above, noni juice helps in reducing the blood sugar levels in the body which can also be correlated to the accelerated wound healing process.